When it comes to feminism, you think a bunch of over-educated, humorless, eeyores that ruin almost everything with some needless lecture about how x, y, or z is a construct of the so-called patriarchy. It’s a cornerstone of the liberal elite. And yet, there are a few voices that are sick of feminism’s intellectual torpor, the man hating, and the inability to create a coherent agenda. In fact, the same could be said for the Democratic Party as they prepare for the 2020 election. Camille Paglia is a feminist, a left-winger, and is not afraid to shoot inside the ship. 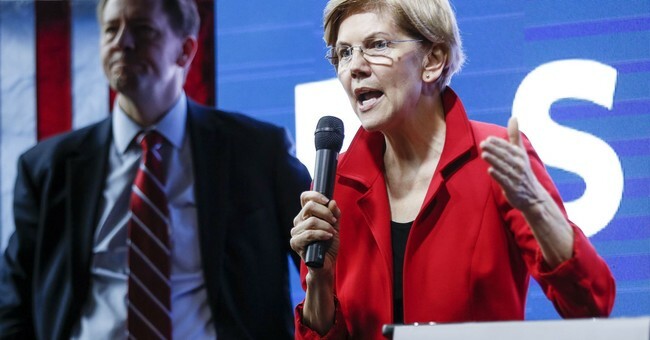 For one thing, as a flurry of female candidate announce their 2020 ambitions, the first being Sen. Elizabeth Warren (D-MA), Paglia trashed Warren and virtually the entire 2020 Democratic field before they even made their intentions known. So, Paglia just decapitated the core of the 2020 field. Still, let’s not get comfortable; we can’t ever become complacent. The Left is gunning for the president. Sanders and Biden, while they may be “old and creaky” could siphon some critical white working class support in areas that Trump has to maximize turnout in throughout the Rust Belt. We’re many, many months away until Election 2020. It’s too early to make definite calls, but the field, so far, looks like it’s going to be more liberal and more insane than ever.